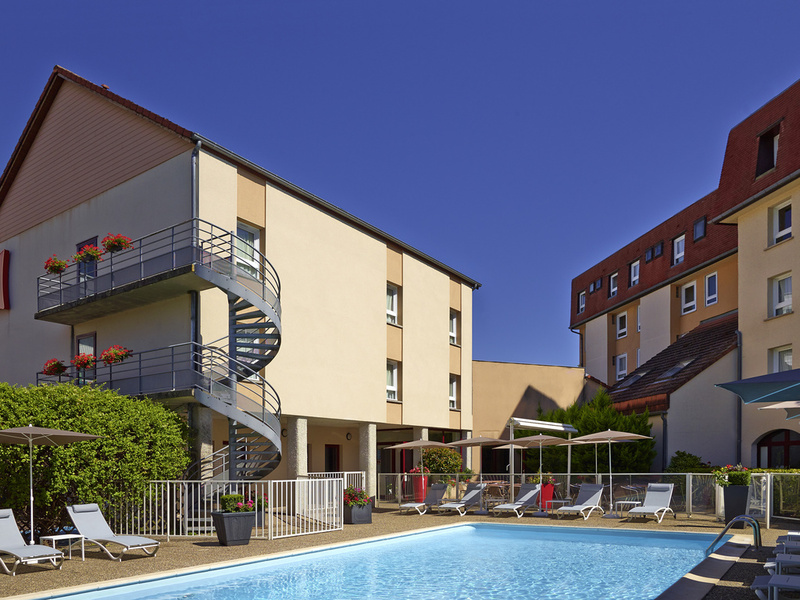 The ibis Beaune Centre hotel is located in the city centre, a short walk from the Hôtel Dieu and the city's historic heart. The Convention Centre of Beaune is 800 m away. Conviviality is ensured by the hotel's restaurant, Le Tournebroche, its bar open 24/ 24 with a terrace and its swimming pool. It has 73 air-conditioned rooms, spacious free parking and 3 meeting rooms available for booking . Guests on a business trip will appreciate the Wifi wireless Internet connection. Ideally located for visiting the Hospices - Hôtel Dieu, the historic center of Beaune, its prestigious wine cellars, the city walls etc. on foot. A pleasant stopover in the capital of Burgundy wines.